Big Bud is a classic from the 80's and certainly deserves its place in our Hall of Fame. Big Bud is one of those strains that will reward you with jaw-dropping yields, and notoriously large buds (hence its name). 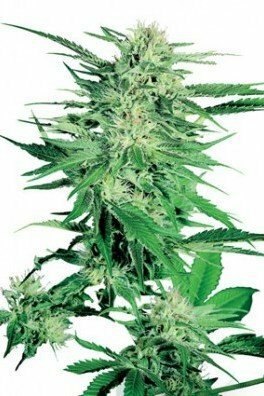 But quantity is not all, add to the heavy yield a pleasurable stone and a short flowering cycle, and you have yourself a true gold mine among strains. In fact, Big Bud is so groundbreaking, a vast amount of modern strains have some Big Bud in their genetic pool to push the productivity to the next level. The strain was developed in the USA, and brought to the Netherlands to escape the american "War on Drugs". The genetic origin of this strain is debatable, but the general consensus is that it is a pure landrace indica strain, which means it was originally a wild strain adapted to the growing conditions of its geographic origins, and then selectively bred. 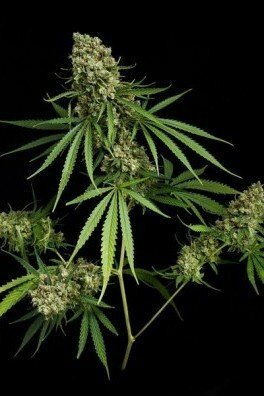 However, if you stumble upon a Big Bud seed today it is most likely not the original landrace, as the strain was later crossed with Skunk #1. If you have a limited height in your grow room, but still want to reap a big harvest, this might be the strain you are looking for. With about 85% Indica lineage, this strain tends to stay rather short indoors. For the impatient grower, you may enjoy your own product already after as little as 50 flowering days plus the time of drying. What really shouts the legendary status of this strain is a yield reaching up to 600g/m². You will have a hard time finding a strain that produces as much in such a short time. 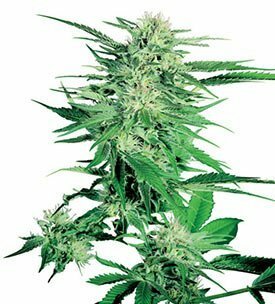 As a grower, you should be aware the plant flowers are quite dense and can get too heavy, and thus may require branch support not to break. Be careful with your growing environment, as this strain is susceptible to most pests, so you will probably want to keep her inside. Big Bud has a sweet hash like aroma, and will leave your taste buds tingling for its sweet and spicy taste with grape undertones. Being predominantly Indica, the high of this strain is mainly a sedating stone, leaving you deeply relaxed with bursts of euphoria and well-being feelings. Curiously, there are users reporting it has a slight energetic side to it. You will probably want to use this strain during nighttime anyway, in case you get glued to your couch. In terms of onset time, some users report this strain is a creeper, meaning it may take a while to reach the peak of its effect.